It’s pretty safe to say… no, it’s very safe to say that Chow Yun-Fat is one of the biggest badasses ever to grace a movie screen. The man has well over 100 films to his credit going back to the ’70s. From his work in John Woo’s Hong Kong pictures, to more recent Hollywood blockbusters, he’s shown an international appeal that few actors are able to achieve, much less maintain. 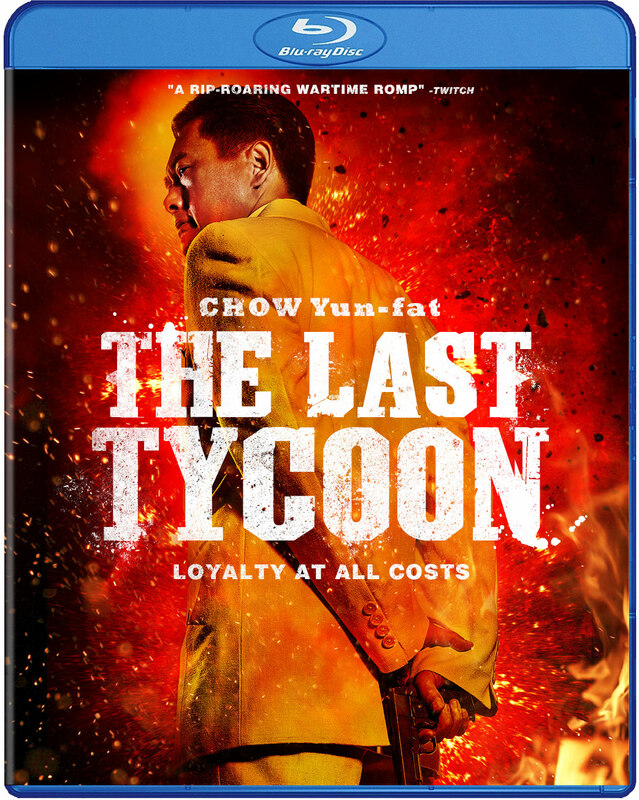 For this reason alone, Mr. Chow must have been the only choice to star in Wong Jing’s new film “The Last Tycoon”, available on Blu-Ray 9/17. Part “Casablanca”, part “Grand Theft Auto”, he plays a gangster in 1930′s Shanghai at the top of his game, exuding a ruthless calm that only comes from years of being the baddest around. This is far from Chow Yun-Fat’s first rodeo, but he’s still riding hard. “The Last Tycoon” is nothing, if not epic. 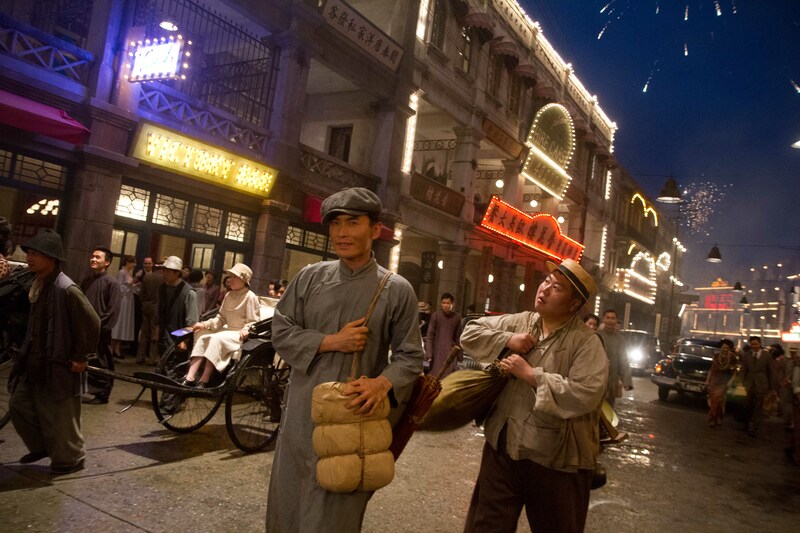 The setting is Shanghai during its heyday of the 1920′s and 30′s as tensions between China and Japan were escalating. We follow young Cheng Daqi (Huang Xiaoming), a fruit vendor who moves to the exotic city in search of making a name for himself. After some misfortune with a corrupt lawman, Daqi finds his life takes an unexpected turn as he becomes a Triad apprentice. As he rises through the ranks, he never forgets his true love, Zhiqiu (Feng Wenjuan) who has set off to Beijing in hopes of becoming an opera singer. Years later, a middle-aged Daqi (Chow Yun-Fat) is now one of the most powerful crime bosses in Shanghai and Zhiqui (Yuan Quan), now the most famous Opera singer in China comes strolling into his nightclub… with her husband. Torn in every direction, Daqi must choose between new flames and old as well as the country he loves or the foreign invaders attempting to buy his loyalty. He may even live long enough to see if he made the right choices. Daqi (Chow Yun-Fat) looking cool while cooling off. With the great Andrew Lau producing, it’s no surprise that “The Last Tycoon” is extremely well shot. An accomplished cinematographer, he usually shoots whatever he’s involved with and this film is no exception (along with DP Jason Kwan). From the neon nightlife of Shanghai to the brutal explosions during a Japanese attack, the vivid colors and calculated camera movements make this a joy to look at. 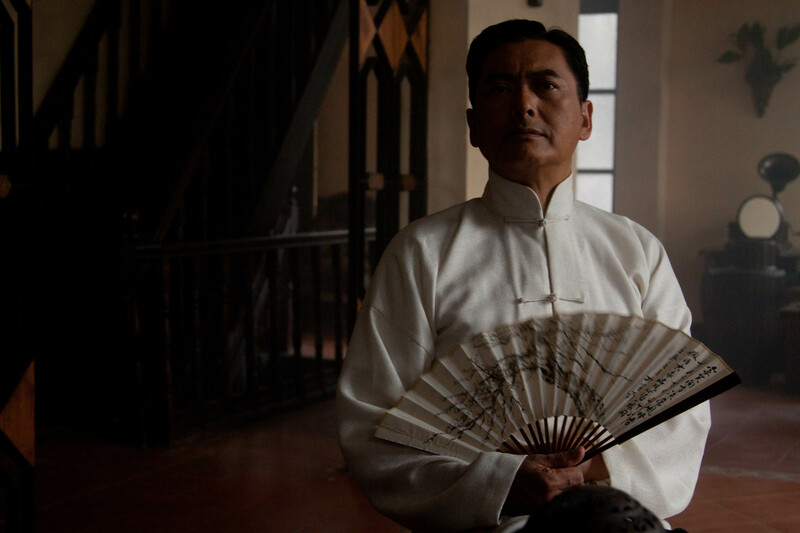 If you’re not admiring the movie’s look, it’s likely you’re mesmerised by the aforementioned charisma of Chow Yun-Fat. The guy is just cool… whether he’s negotiating with the secret service, shooting a man in the head or just sitting down and fanning himself, you just know that he holds power. Being a veteran of so many balls out and guns blazing movies, he just melts into the role and probably helps the audience, too, in knowing exactly what this character is… but Daqi isn’t just some 2 dimensional thug. Everything he does, is done with heart and with loyalty. Sure, he feels no fear and is unfazed by killing, but he has a strong internal compass that leads him towards what he knows is right. It’s no wonder that he’s the guy always dressed in white. The character’s emotional core is the center of “The Last Tycoon” and without it, this would just be another gangster flick. That’s a lot to hang on any one actor’s shoulders, but Chow Is able to deliver. That said, equal praise must be given to Xiaoming Huang who playing young Daqi. He’s managed to get the elder actor’s mannerisms and posturing down pat while bringing a performance that’s heartfelt and honest as we see a boy with big dreams watch as his soul slips away. Jing Wong, who co-wrote script, in addition to directing, gets the most from his actors, but in turn gives them plenty to work with in a film that runs the gamut from, funny to romantic to violent and tragic. “The Last Tycoon” is another gorgeous release from Well Go USA. The picture quality is crisp and the colors vibrant. I mentioned the film’s visual beauty earlier, but the 5.1 Mandarin DTS-HD MA sound mix is nothing short of incredible. During the bombing of Shanghai, you’re literally shaken by the booming bass of the exlosions, with planes whizzing by you’re head… all channels are used to their full potential. The 5.1gives a real sense of space and is noticeably present, though not gimmicky or distracting. It’s probably the best sound mix I’ve seen on a Well Go USA disc to date. 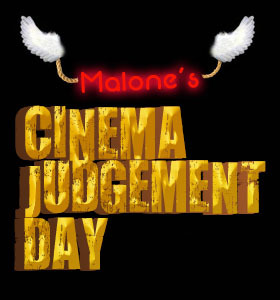 Extras are scarce here, with only a “making-of” featurette and the theatrical trailer provided. Exotic settings, a solid story, outstanding visuals and top rate performances make “The Last Tycoon” heavenly, with a 3 out of 4 angel rating. The story never feels completely original, but the gangster-ridden Shanghai of the ’30s sure is a fun place to set it. If you’re into crime movies, historical epics, romance or dramas, this one surely has something to offer.